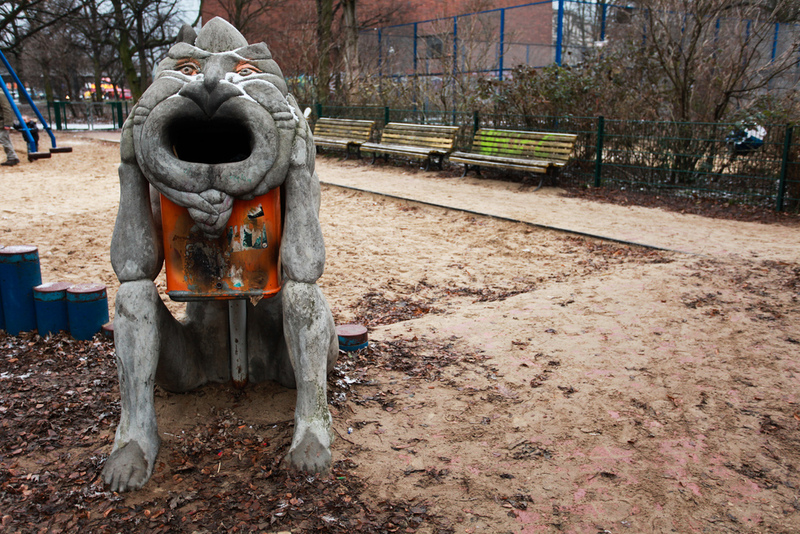 Berlin is a land of many visual wonders, perhaps none quite as simultaneously functional and artistic as this sculptural garbage can in the middle of Lausitzer Platz. We found this guy in the park where several dozen kids were playing on the swings and jungle gym. None of them went anywhere close to it, though, which probably explains why he looks so bored and lonely, snow dusting his nose and gaping mouth reeking faintly of yesterday’s stale wine, beer and cigarettes.